I (the only Loyola grad in the picture) moved to London, UK with my boyfriend (the Michigan grad on the right) after obtaining a PhD in 2016. 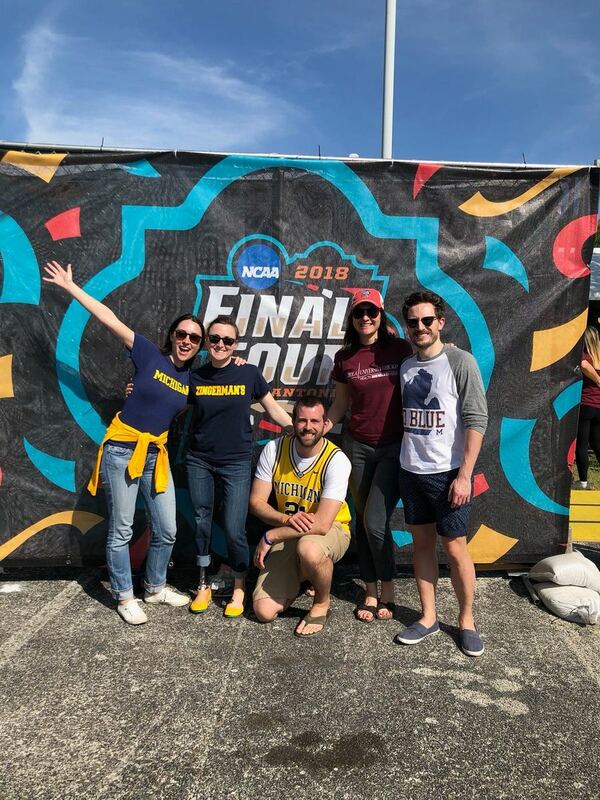 When the tournament started we swore that if our teams made it to the Final Four we would go anywhere to watch it. So we flew to San Antonio where we spent some amazing 36 hours. My Brit coworkers though I was insane! elenapinceti, “Rivaling Grads from London,” Loyola University Chicago Digital Special Collections, accessed April 24, 2019, http://www.lib.luc.edu/specialcollections/items/show/1930.